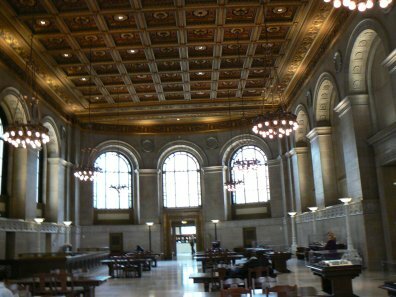 ﻿For a library history buff, it doesn't get much better than a visit to the newly renovated Central Library of the St. Louis Public Library. 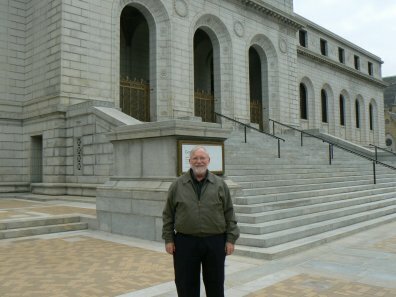 While visiting family last week in St. Louis, I took the hour long, volunteer docent led, tour of the renovated building. I made a previous post on the reopening of the building. Their website has a link to a great video about the reopening. 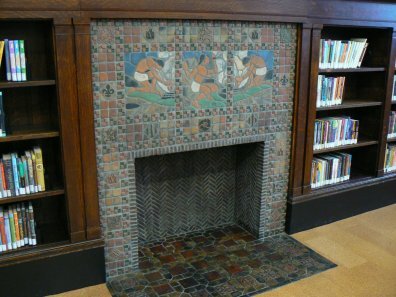 The renovation took place a hundred years after the Carnegie building opened in 1912. The building renovation is truly remarkable and they have done a wonderful job of integrating the old and the new. I highly recommend a visit if you get to St. Louis. Below are a few of the hundred plus photos I took of the building. 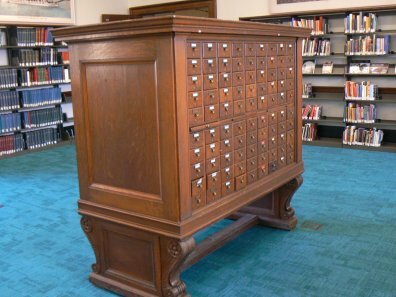 Giant two-sided card catalog. The last remaining. Congratulations Andy Liu and Lu Gao! Gleeson Library has received a wonderful collection of books and DVDs as part of the Bridging Cultures Bookshelf: Muslim Journeys, a project of the National Endowment for the Humanities and the American Library Association. 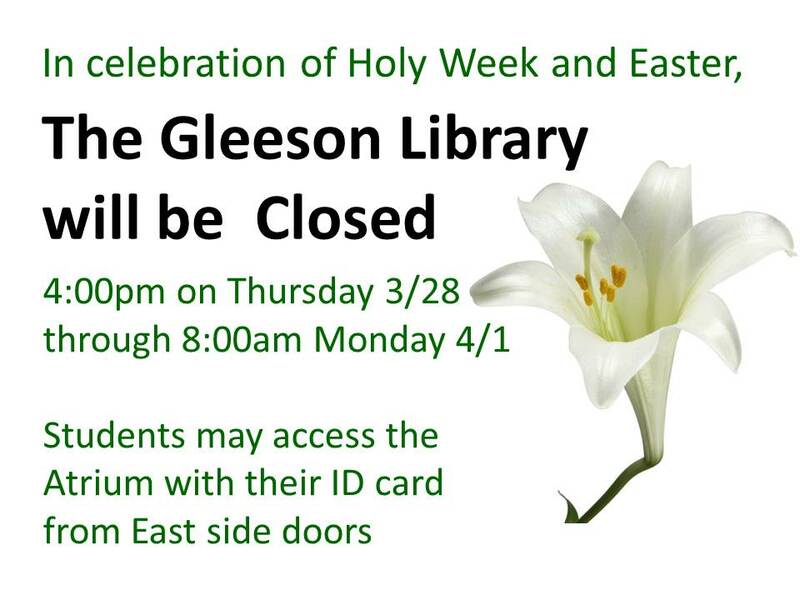 Embarking on Gleeson’s Muslim Journeys, we’re pleased to present a free film screening of Koran By Heart, a film by Greg Barker, on Monday, April 8 @ 6:00 p.m. in the Donohue Rare Book Room. The screening will be introduced by Aisha Morgan from Islamic Networks Group, and is co-sponsored by University Ministry as part of UM’s annual Interfaith Week celebration April 7-13. The film depicts the annual competition when about one hundred of Islam’s best young students from around the world come to Cairo for the International Holy Koran Competition. Koran by Heart follows the progress of three ten-year-old scholars, a girl and two boys, as they compete in the two-week event. Scheduled during Ramadan, the competition is grueling and exhilarating. 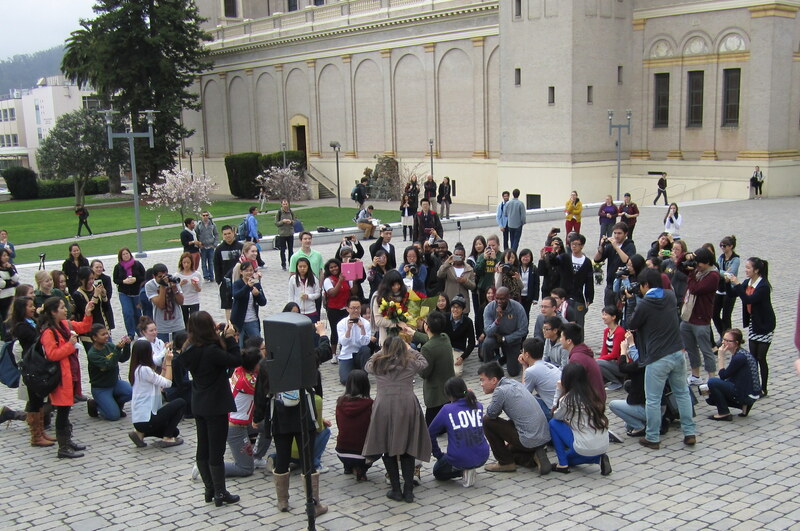 The students adhere to the practice of daytime fasting, and the rounds sometimes go well past midnight. The finals are broadcast on Egyptian national television. Koran by Heart captures the skill, determination, and faith of the young competitors, and lets us glimpse the social and political tides that pull at them from every direction. Our new books and DVDs are on display (and available for checking out) in the lobby. The grant also includes a subscription to Oxford Islamic Studies Online, a multi-layered, growing repository of reference content and commentary. 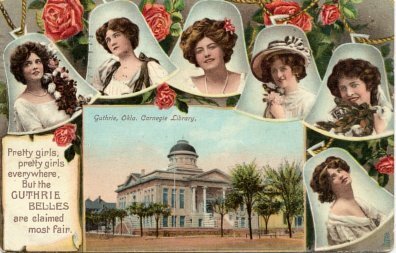 I've put together a group of library postcards from my collection that include women. 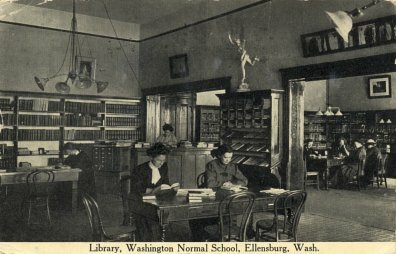 The first card shows the interior of the library at Washington Normal School in Ellensburg, WA. It was mailed in 1916. The second card shows the interior of the Harris Library of the Baptist Missionary Training School in Chicago. It was mailed in 1909. The third card features the "GUTHRIE BELLES" of Guthrie, OK along with the Carnegie Library. It was mailed in 1910 and is a Tuck's Postcard. Not surprisingly, Tuck's published postcards depicting pretty belles from towns and cities across the country, and they were all "most fair". The final postcard (to the left) depicts women as viewed by much of society in 1906 when the postcard was copyrighted. Check out the woman in Vol. 1. 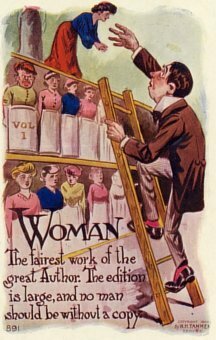 One of my most popular previous posts showed women on postcards for ALA's Library War Service. 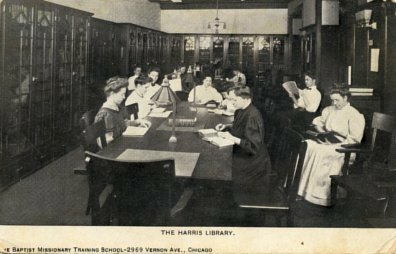 I also have a previous post that includes a postcard of women library workers at the Aurora (IL) Public Library and another post that includes a postcard showing women using the Milwaukee State Normal School Library.